According to the Society for Human Resource Management (SHRM), every time a company replaces a salaried employee, it costs the business an average of 6 to 9 months’ that salary. This is painful and costly for every stakeholder in your business. I want to help you. Become a hero to your team with a Communication Mastery WORKSHOP. I’ll get your team laughing and working together again so you can connect and retain a powerful team. 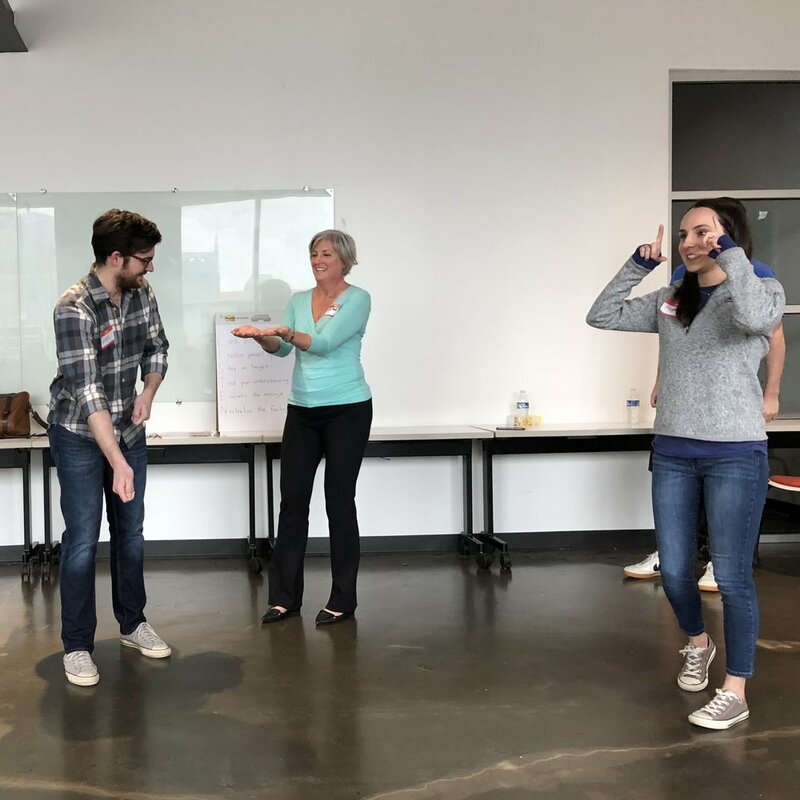 The Communication Mastery offers teams a chance to let down their hair and work with one another to learn about leading with acceptance, creativity, trust, spontaneity, body language, and public speaking. I will provide your staff with a fun way to take communication fundamentals and apply them to your business. Expect a rejuvenated, energized, happier team when together I teach you Communication Mastery. Let’s do this! I WILL get your team connecting, LISTENING, and laughing like never before!